"Let's build a tree fort," Russell says to his dad when they move into a house with a big maple tree in the backyard. His dad doesn't know much about building, but he gamely follows Russell's plan. Several trips to the lumber store later, the tree fort is done. There is no slide, balcony or skylight like Russell imagined, but it is perfect — right up until he notices another tree fort going up three houses over. When Russell goes over to investigate, he meets Warren, whose bigger tree fort has castle turrets and working lights. Russell is in awe until it dawns on him that it's not worth worrying about who has the better tree fort when he has a loving dad there to build one with him. 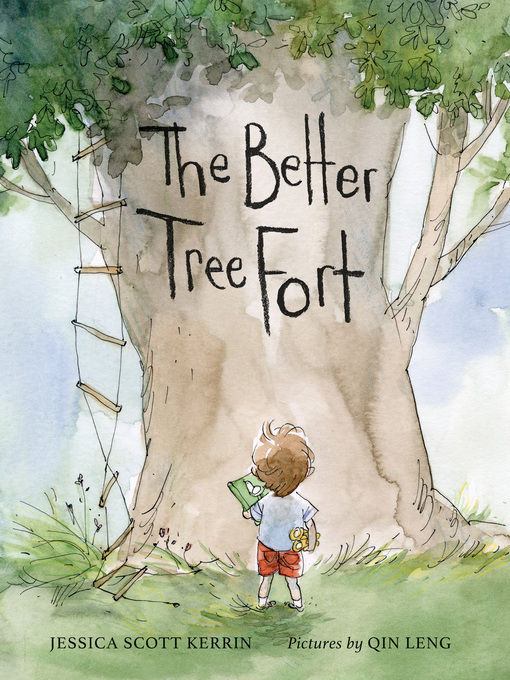 In this subtle, humorous story, Jessica Scott Kerrin explores the idea of keeping up with the Joneses — and what that means when you're a kid with a tree fort. Qin Leng's lighthearted watercolor illustrations show the unshakeable bond between a father and son, as well as the delightful details of two tree forts. Jessica Scott Kerrin is the author of the middle-grade novels The Things Owen Wrote, The Spotted Dog Last Seen and The Missing Dog Is Spotted. She is also known for the Lobster Chronicles series and the best-selling Martin Bridge series. Born and raised in Alberta, she now lives in downtown Halifax, Canada, or on her boat, Cape Fear, during the summer months. 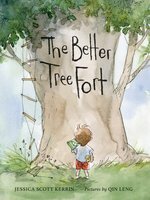 The Better Tree Fort is her first picture book.